Nancy Brennan-Jordan is a Family Nurse Practitioner and a Certified Diabetes Educator. She has more than 20 years of diverse nursing experience and has a passion for diabetes education and management. Nancy received her Masters in Nursing from Columbia University School of Nursing and her BSN from the College of Mt St Vincent. Her 1985 undergraduate degree in Economics is from the University of Notre Dame. Nancy served as the Director of the Defy Diabetes $564,808 Grant at Seton Health in Troy, NY from 2008-2010 and is presently working as a Nurse Practitioner at the St Peter’s Family Health Center in Albany, NY. 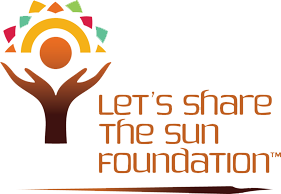 Having worked in Chile for 6 years training community health workers, Nancy is fluent in Spanish and is committed to providing quality, empowering, and sustainable solar installations through the Let’s Share the Sun Foundation. Kevin Spahn is a highly respected Wealth Management Advisor in the Northwestern Mutual Financial Network. He received his Undergraduate Degree from the University of Notre Dame and his Juris Doctor Law Degree from the University of Wisconsin-Madison. Kevin lives in Wheaton with his wife Sue, and their four children. He enjoys golfing, spending time with his family and coaching his children’s various team sports. James J. Kelly, Jr. teaches Real Estate Transactions and directs and teaches the Community Development Clinic. He currently serves as Editor -in-Chief of the Journal of Affordable Housing and Community Development Law. Prior to joining the Notre Dame Law Faculty in 2011, he served as Assistant Professor of Law and Director of the Community Development Clinic at the University of Baltimore School of Law. Ravi Sankaran is an experienced renewable energy and power generation professional and the founder and Principal of Grande Vista Energy, a consulting firm for companies engaged in utility-scale renewable energy projects. Prior to founding Grande Vista Ravi was a Senior Director of Power Marketing for SunEdison, where over a 5-year tenure he worked on a portfolio of over 600MW of solar projects that are now in operation or construction. Prior to SunEdison he spent 4 years in wind energy development with Shell Wind Energy in Houston. Before Ravi entered the renewable energy world he worked for the Entergy electric utility in New Orleans and Houston handling resource planning for Entergy’s 4-state utility system, during which time Entergy endured unprecedented destruction from Hurricanes Katrina and Rita in 2005. Ravi was previously an Advisory Board member with the nonprofit Power to the People that installs solar systems in remote Central America villages, which was subsequently acquired by GRID Alternatives. He has also served on the Board of Directors of GRID Alternatives Greater LA region which installs solar systems in low income neighborhoods, and is currently on the Board of Young Life Greater LA, a faith-based youth development organization. Ravi holds a Bachelor’s degree in Mathematics from the University of Virginia and a MBA in Finance and Marketing from the University of Texas at Austin. He is based in Los Angeles where in his spare time he enjoys hiking, cycling, and tennis amidst the scenic beauty of Southern California. Tim Derrick is the General Manager, Advanced Solutions at SunEdison. He previously was President and General Manager, North America for SunEdison. He was CEO and co-founder of Axio Power in 2007 after serving as Director of Solar Development at 3 Phases Energy from 2005-2007, building projects in California and Colorado in the rooftop and on-site solar business. Tim came from the wind industry where he worked from 2001 to 2005 at Enron and GE Wind Energy in the utility scale wind energy business, holding leadership roles in project development, strategic marketing, commercial operations, and Six Sigma. Prior to his career in renewable energy, Tim worked as a U.S. Army Officer, Olympic Team coach, and management consultant. He holds a BA from Dartmouth College and an MBA from the University of Michigan, Ross School of Business.